Katherine Schwarzenegger eyed up Chris Pratt YEARS AGO | SHEmazing! 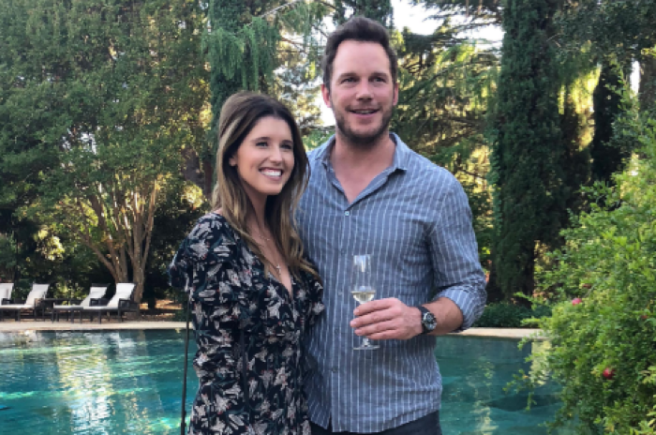 Chris Pratt and Katherine Schwarzenegger announced their engagement this week after just seven months of dating, and the happy couple seem head-over-heels in LURVE. Apparently, Katherine has been eyeing up Chris for a long time. Exactly one year before they met, to be exact, according to an unearthed video. Katherine's mother Maria Shriver introduced Chris to her daughter roughly last June, and it's been heart eyes ever since. A video found in the dark hole that is the internet shows blogger Katherine chatting with Access Hollywood about her favourite Chris. The 'Chris' debate has been carried out for years; Chris Pine, Chris Pratt, Chris Hemsworth or Chris Evans. Almost two years ago, Katherine looked already in love with Chris Pratt, despite having never met him. This is some crystal ball sh*t, is she some kind of witch? We're here for it, if that's the case. We wonder if Chris Pratt knows that she chose Chris Evans initially? This could start a 'Chris' war, after all this tension.